Welcome Home to Heritage Lakes in Mackinaw where you’ll find peaceful privacy in the surrounding nature, a lake for fishing & recreation, and a lodge & pool just for homeowners and their guests. 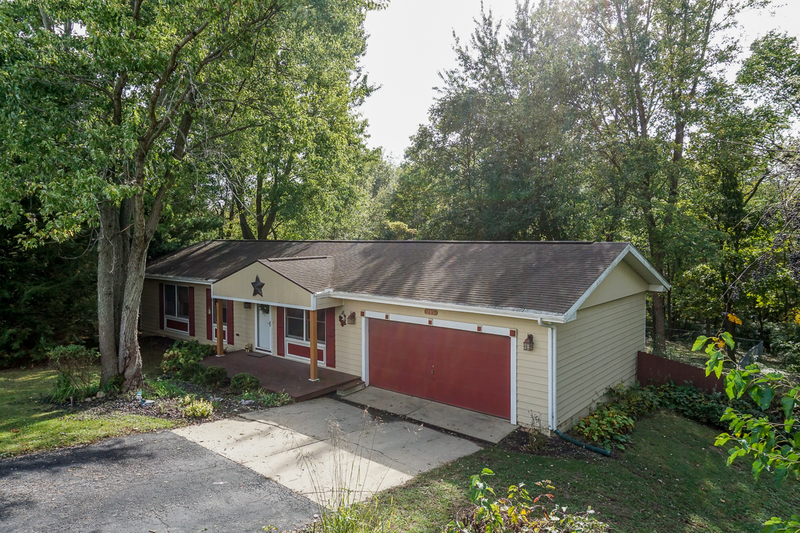 This Ranch home at 215 Brandy is much more than just what you see from the driveway…Inside you’ll find a nice living rm, eat-in kitchen w/ less than 1yr old appliances, three bedrooms & a full bth on the 1st floor. All partnered with great views of the .6 Acres of land. Master bedroom has an attached half bath. New Lam flooring. Lower lvl features a walk-out to the partially fenced backyard, a big family room, laundry room, 4th bedroom, storage rm & rough-in for the possibility of another full bath. This backyard is not something to miss – it’s the most usable & private in all of Heritage Lakes! Lot goes beyond the fenced in area. Big two tier deck great for entertaining & taking in the beauty of the outdoors. PLUS incredible affordability to live here – Just over $200 a month covers all of your utilities! Costs for 215 Brandy – $180/month for gas and electric from Ameren. $25/month for water. $75 every four months for trash. $125 HOA annually plus $64.23 lake fund due every October. Septic pumped 2013. Rough-in in basement for bath. Porch 2 years old. OT1 is huge storage closet in basement. Wednesday garbage pick-up.